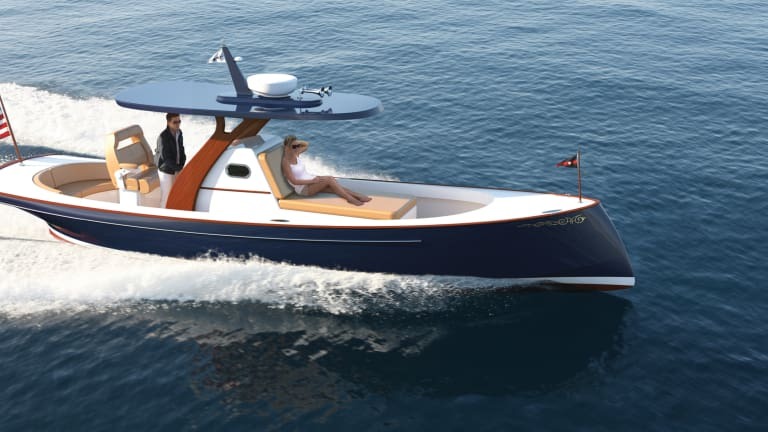 A veteran yacht restorer jumps into boatbuilding with a show-stopping runabout. A little over a year ago, Jim Moores was having trouble sleeping. He’d wake up in the middle of the night, scribble on a scrap of paper and toss it in a kitchen drawer. The drawer filled up with sketches. One day he looked at the pile and thought, Okay, time to do something about this. Moores isn’t a newbie to boatbuilding. 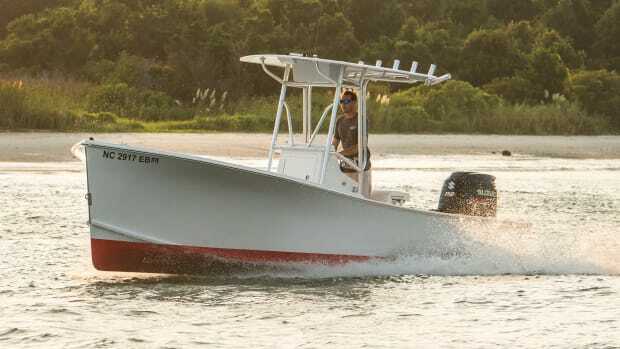 He entered the boating industry at 15 years old, pumping gas at marinas in the summer. 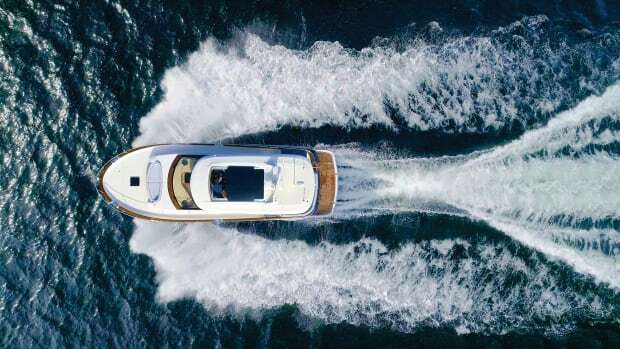 He built commercial workboats in Maine decades ago before founding Moores Marine, the restoration yard that boasts projects from Trumpy yachts to JFK’s presidential yacht. 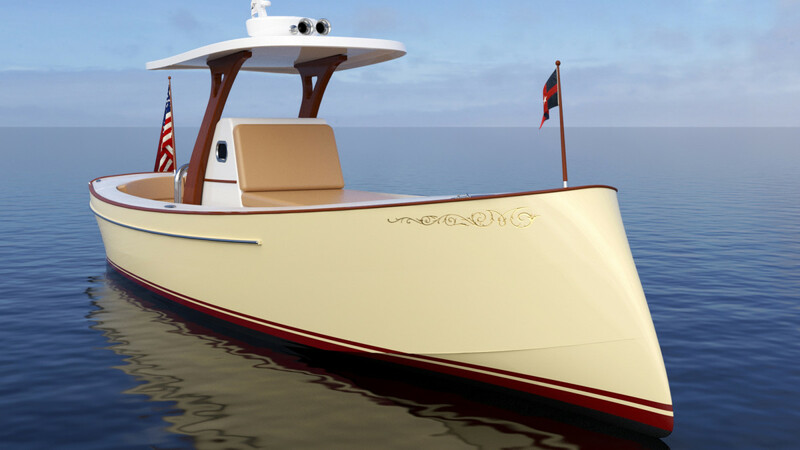 After more than thirty years restoring antique boats, Moores was ready to design and build something entirely new. 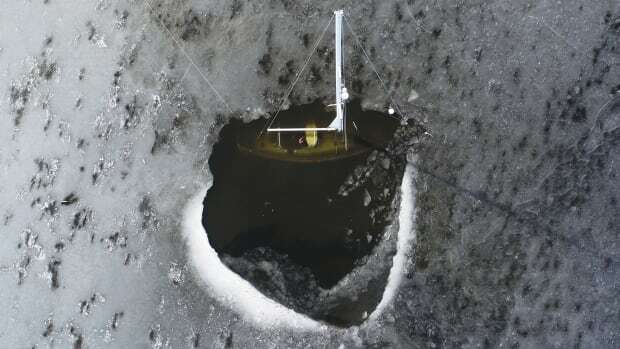 Construction began on his first design, the M30, this winter. 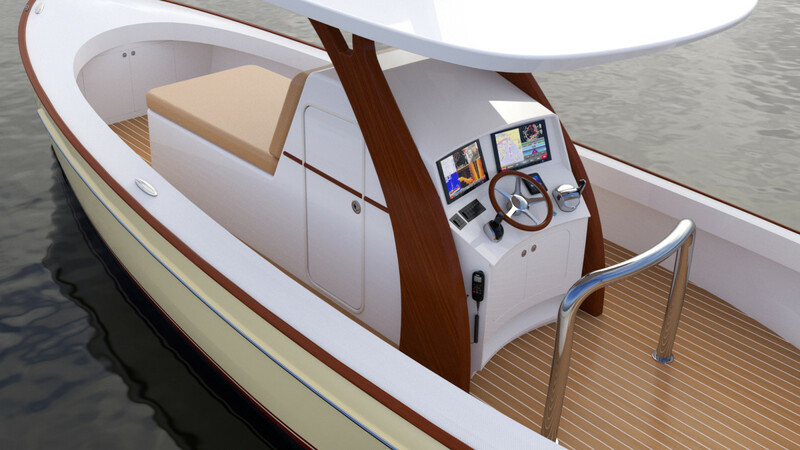 The synergy between historic styling and modern technology make the M30 an eye-catching yacht. 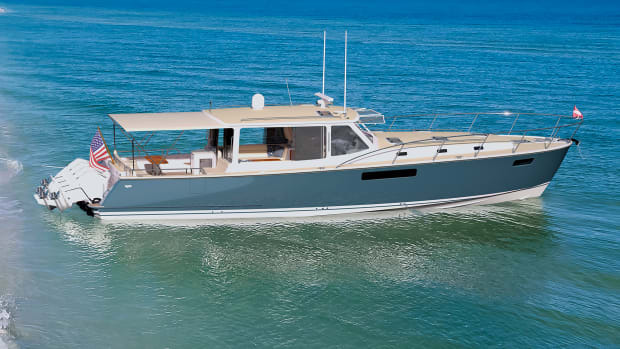 “I wanted a boat that had classic American styling,” he says. “I’m so tired of all the European styling.” Moores drew inspiration from several styling trends of yore. 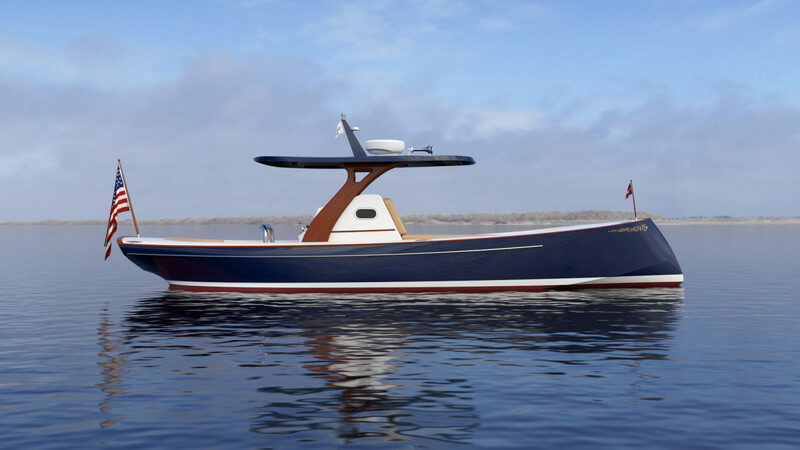 The bow resembles a World War I battleship, the stern takes after sailing schooners of the 1920s and 30s and the duck tail under the transom is a nod to John H. Wells. 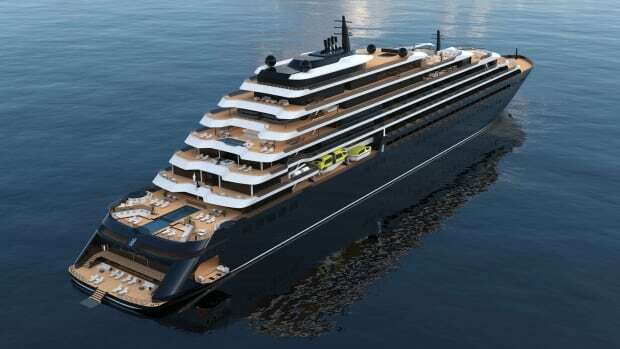 There will of course be the modern accoutrements we’ve come to expect, like a bowthruster and a navigation package. 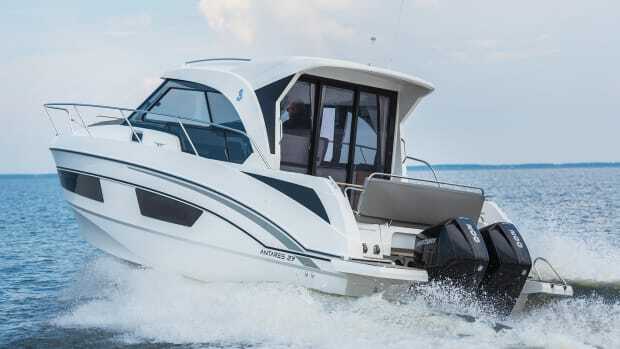 The M30 is slated to push 60 mph. “I don’t know if I want to drive 60 miles per hour, but you can,” says Moores. 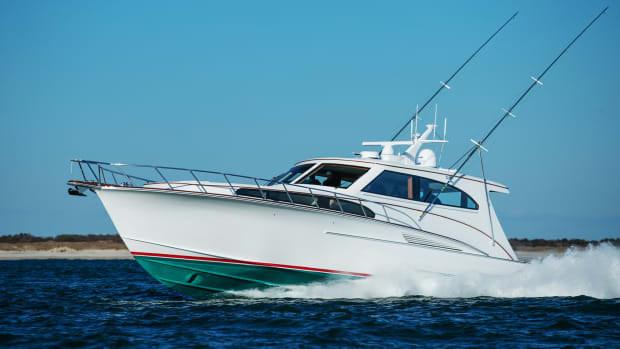 The slight down angle on the chines creates added lift when moving through the speed range, and allows the yacht to turn in half its waterline length. 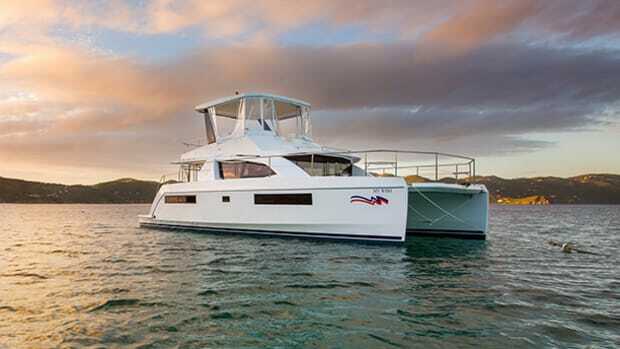 Moores expects the M30 to appeal to buyers looking for a custom yacht that’s towable or can be used as a tender on a larger yacht. 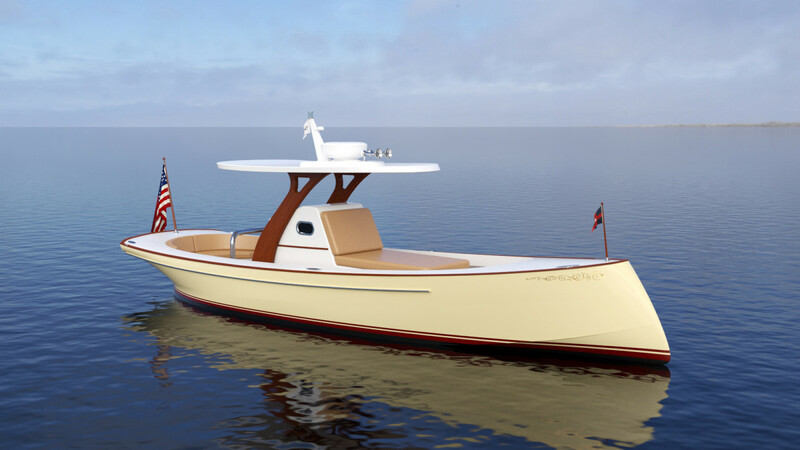 Stepping back into the boatbuilding world is a logical step for Moores, who is 63. “It’s kind of now [or never],” he says. “I’ve accumulated a vast amount of knowledge through the years.” Despite the new project, he has no intention of moving away from the restoration side of the business. As we talk, he describes his surroundings at the Moores Marine yard in North Carolina: the restoration shed, the paint shed, the machine shop and the shop where the M30 will be built. “It kinda fits,” he says.